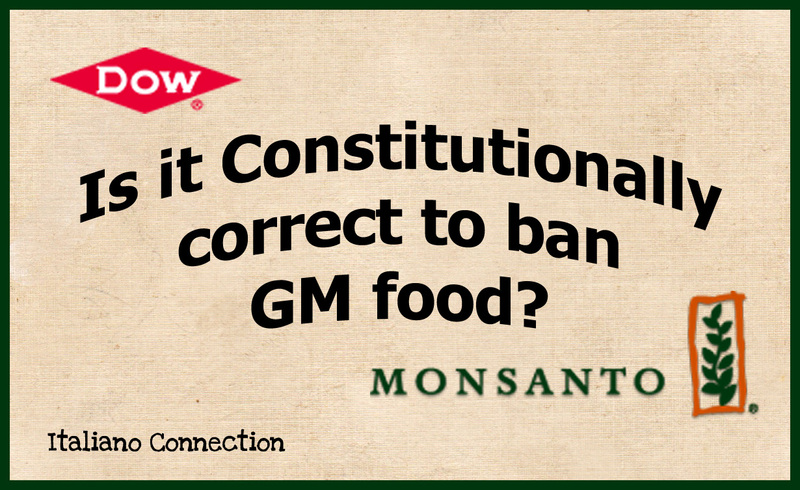 Your Respectful Opinion - Is a GM Food Ban Constitutional? 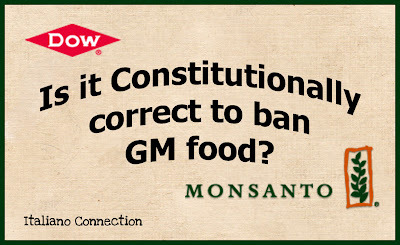 Is it Constitutionally correct to ban GM food? 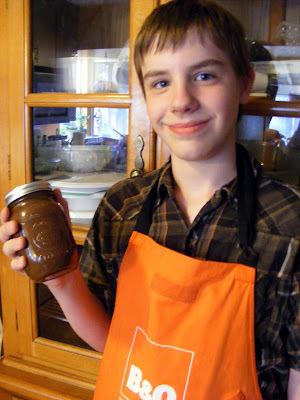 Many of you may know that I am 100% into organic, heirloom gardening and a die-hard advocate for our US Constitution. I hate GM food and would never eat any of it if we could afford to eat only organic all the time. This is a huge controversy. Those on the side of GM food say it has never been proven to cause issues, those on the other side say it has. We have heard that Monsanto buys off the companies doing the research to top it off. All of that being said, I am curious about your opinions and insight. Please respectfully state your opinion on the subject of banning GM food and if you feel it is constitutional for the USA to do so. If you respond to others, again, do it respectfully or I will delete your comments. "I am not sure I am into banning Monsanto, DOW, etc. In our country, that seems to fly in the face of our US Constitution and liberty. But I believe it should be a lot more difficult and expensive for a chemical or something that has been altered to make it on the market than organic, natural food. 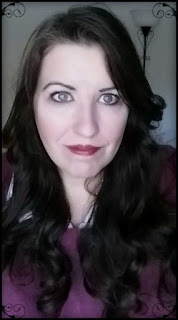 I am into disclosing truth to people and letting them decide what they want. I believe we should stop subsidies to farmers and telling them what to grow and then forcing a market for their abundance of GMO product. Let farmers grow what they want and if they can sell it depends on their wisdom and hard work. If we disclose the truth, take away subsidies, and make the competition legit I think we would see a different outcome. In my area of Northern California, the organic farmers here cannot afford to be certified as such, so cannot legally sell their food as organic. I believe this is wrong. Most people I have spoken to have said they would eat organic food if they could afford it. Almost all people are for labeling of GM food, but don't want it to raise the price on their groceries, as times are tough enough." This is my 2 cents. What is yours?